The Fischbowl: Google Apps for Education: Is It the Right Choice for Our Students? Google Apps for Education: Is It the Right Choice for Our Students? I went to Learning 2.0: A Colorado Conversation (2010 Edition) on Saturday. Scott Elias, Deanna Dykstra and team (with a special shout out to the students that did the streaming) did a great job putting on a worthwhile event. I think I was a little distracted during the morning sessions for some reason and didn’t contribute much, but settled in during the afternoon. The day ended with some round table discussions, and I participated in one centered on Google Apps for Education. This allowed me to continue a conversation I had been sporadically having with Bud Hunt via email and I brought up a couple of issues that had been troubling me. Now, to be clear, I don’t think anyone else at the table completely shared my concerns, but since they are still troubling me I’m going to share them here on the blog in order to help my own thinking (and perhaps yours). My first concern is what happens to our students’ stuff when they graduate (or leave the district before that)? Because of the nature of Google Apps for Education, all student work (Docs, Gmail, Sites, Groups, etc.) is tied to their Google Apps domain login, which is very helpful and convenient as long as they are students in our district. The problem comes when they leave – what happens to their stuff? Most – if not all – districts are going to delete student accounts after they leave – which will delete all their stuff. Now, I know there are ways you can get some or all of your stuff out of Google Apps. It’s fairly easy to download all your files, and I know there are ways to get your emails out. And – depending on the settings in your domain – you may be able to transfer ownership of documents (although we haven’t had any luck with Sites yet) outside of the domain (to your non-apps Google account, for example). But, from my perspective, there are major issues with this. What’s the likelihood of the majority of our students successfully doing this on their own? Either because they don’t think of it (or don’t think of it in a timely fashion before things are deleted), they have technical difficulties, or they can’t imagine wanting to keep any of it in the afterglow of graduating. The second major issue is their digital footprint. If out students produce stuff that’s worth keeping, and stuff that’s remarkable (employing Seth Godin’s use of that term), then we would hope that other people will have taken note of their work and will reference it. They’ll bookmark it, Diigo it up or Evernote it, use it as a reference, etc. When we delete their account, we delete their footprint. The Google Sites they’ve created? Gone. The Google Docs they’ve published to the web? Possibly gone. (If they transfer ownership outside of the domain I think the URL will stay the same. If they download all their docs it will not.) All the links and digital conversations centered on that work? Broken and incomplete. Can we address some of those issues (give them directions and procedures for downloading/transferring their docs, talk to them about why they might want to keep their stuff)? Sure, but it seems like a pretty clunky solution to a possibly serious problem, one that we should address before jumping on the Google Apps bandwagon (and still doesn't address the footprint issue). If your school/district is using Google Apps for Education, do you have plans and procedures in place to deal with this? If not, shouldn’t you have had that before you put your students in there? I know a lot of folks will suggest that not much of what students do in K-12 is worth keeping. There is certainly some truth to that, but I would hope that it’s not completely true. (And that perhaps if we were doing a better job that would change, as what does it say about what we do now that none of it is worth keeping, but I digress). But my current thinking it that the advantages of going to Google Apps for Education do not necessarily outweigh the disadvantages. In addition to the “worth keeping” and “digital footprint” issues above, add in that their Google Apps domain login doesn’t give them access to all the other Google tools that a non-domain Google account gives them (Reader, Blogger, YouTube, etc. etc. etc.). So if our students want to use those (and I certainly want them to), then they’ll have to create a separate Google account anyway, which adds a layer of complexity and also negates some of the supposed advantages of having a Google Apps domain (ability to manage accounts/passwords; kids have one place to go to get their stuff). How about instead of spending all this time and effort setting up and managing Google Apps for Education, we spend it teaching our students how to responsibly use the full suite of Google Apps themselves? How about we teach them how to manage all of their digital work, whether it’s with Google or somebody else? How about we teach them backup plans and exit strategies for all these “free” Web 2.0 tools? How about we help them think more intentionally and purposefully about the work they are doing and the footprint they are creating? How about we model the behaviors we’d like to see them imitate? I was surprised to recently learn that Google uses Google Apps internally, meaning their own employees struggle with the limited set of tools available to them in their Apps account, and the juggling act between those accounts and "vanilla" Google accounts. If there's a good reason they're not fixing this, even just for themselves, I can't think of it. 1. It is possible to copy your Google Site out of your domain if you allow sharing to occur outside of your domain. Just share with a public google account as an owner. Then have the owner with the public account create a copy in the public arena. 2. I think that this debate makes a lot of sense for high school, but for those who are under 13, they can't have access to public Google accounts. Don't we have to create the environment for them? And doesn't it make sense to continue their progression within the domain rather than switching them over to a public space when they hit 13. I'm not sure I am totally on board with Google Apps for every purpose, but I think that a Digital Footprint is only good when you don't have to make all of your mistakes out in the open. I agree that broken and incomplete conversations aren't great, but I feel like we are creating a problem that doesn't really exist. You cannot carry all that you have done from one job to the next, nor would you want to. When they graduate, they should take the stuff that makes the most sense to take and then build a new space that is their own. When I moved from EduBlogs to my own server, I experienced this. While I could export all of my old posts, none of the links stayed. I did it because I thought that "owning" my stuff was important enough to break some links. That being said, I am a part of no fewer than 4 Google Apps for your domains and all of those e-mail addresses and google docs accounts are tied to my Open Google Account. I share documents and sites with myself on a regular basis because of this. Students shouldn't have to do this, but there is a "less and more" balancing act that we are engaging in. The issues that you mentioned have been the center of some conversations in our district. We are struggling to figure out how to help our students create and archive a digital portfolio while creating a digital footprint that they can be proud of. Of course, the price is right for Google Apps but that isn't the only reason we chose to use it. We needed a way to nudge some of our more reluctant teachers toward cloud computing with colleagues and students. Our administrators have taken the lead by using Apps for many of the documents they share with the teachers in their building. We are still presented with the problem of our kids taking their work with them when they are no longer "ours." The feeling is that there are so many hurdles with technology that we've at least cleared one by using Google Apps. Great points to ponder. I'm with ya. I guess the challenge is, in some cases, the Google Apps route might be the only choice, so the limitations are worth it. I know some districts who just absolutely will not get into "personal" google accounts being an integrated part of the learning infrastructure. So, perhaps Google Apps is a "let's meet them halfway" measure. I think what we can do is build into the use, as you said, the true value of building a beautiful and rich portfolio that IS worth saving/transferring after they leave our district/school. Instilling into them the sense of pride and ownership that the work they've done is so important that it is worth taking the steps to keep it going beyond graduation is perhaps the most important task. I think the Apps step is a huge step in the right direction - it might not be as far down the path as we'd like, but it's in the ballpark! How about Microsoft Live@edu? Outlook (and soon- sharepoint) in the cloud should offer an excellent opportunty for the students to create digital portfolios that they will be able to take with them when they graduate. It also seems to me that since live@edu is organization owned and free from 3rd party agreement that it might help districts with the legal aspects of student email. Very good points. In our school district we even have separate Google Apps accounts for each school, so "footprint portability" may become an issue for students moving between schools. However we do appreciate Google Apps features such as internal contact sharing and the ability to easily allow viewing or collaboration only among users of your domain. You raise some good points here and many of them we were asking way before Google Apps existed. For years we have provided students with network storage and every year we have faced the same set of questions: how do kids transfer it out, what happens if a student graduates and then needs something later, what if they don't own the programs they need to display their work after they leave (especially with programs such as CAD and digital imaging software - although many students don't have the MS office suite at home). Every year we have posted steps for copying and moving this information (we now include steps for their Google products as well). Overall (except sites) moving this material has become easier and the program used to run/display the work is readily available. Google's data liberation project is making it easier to get your data off or transferred all the time. I agree that keeping the digital footprint becomes fragmented, but for those articles that are worth displaying I would encourage students to create their own portfolio outside of our walled-garden. The semi-walled-garden may not be authentic, but it is an environment where many of our students (and more often our staff) feel comfortable making, and learning from, their mistakes. I agree as well, that many schools are interested in the control aspect of Google Apps Edu - but in some cases that is what allows for the filters to come down and for schools to open up to the possibilities it offers. Over time Google will continue to add other apps into the fold and it will become more robust (just as they have started to with groups). For us it was an organizational issue - we wanted students to all have an email address - we wanted to make sure it stuck with them and didn't change. This gives us a constant way to contact students and this has made many of our teachers more open to using other "2.0" technologies such as Nings and Wiki's because they can be sure of who is a member of those sites and there is some accountability for these classroom extensions. We rely on those email addresses to distribute essential information; therefore we need to be the administrators of those accounts, just like we are for our staff. Sure there are times when we need to access those accounts for discipline reasons (we do for staff too). I don’t think this is an either or question – it is a combination of both is the correct answer. Just as I maintain a work account and profile and a personal account and profile, our students need to learn to do the same. What happens when I leave this place of work? I need to use skills to transfer my online life from one profile to another. We should be teaching our students these skills as well – for when they move through their many stages of life. Put them on Google Apps Edu, and for those over 13, encourage them to start building their personal profile as well. Let them make mistakes where it is safe and then display great work where they feel is appropriate. Teach them to do it all while they move between the many levels of society (face to face or virtual) which is one of the many things that growing up is all about. Karl, you bring up some Google points and I think you will need to make a decision that is best for your situation. Coming from a school that had no email for our high school students to Google Apps for Education - I feel like I have gone to heaven. The ease of use with everyone having the same email address and ability to easily see all names in the domain when you compose email, share docs, collaborate on Sites has encouraged reluctant teachers. I do occasional share docs between my GAFE account with my regular Google account - but honestly, I like them separated. I do so much document sharing with my computer students, I can barely keep up with the organization in my Docs folder. I don't necessarily want my professional docs mixed in with my student docs. Many of my HS students have both GAFE & Google accounts - and I haven't heard complaints from them. They understand the difference between school & personal work and that is what they will probably experience in a work environment too. Best of luck in figuring out what is best for your school/district. When our students leave high school and go to college (hopefully! ), they will most likely operate within a closed system: Google Apps, Moodle, or Blackboard. Using a free integrated system like Google Apps prepares our students for that environment. When those same students leave college and possibly go to work for a large corporation or the government, those same students will be able to operate within a system set up by their employer. Much of it will be a closed system for security purposes. I believe that students learning how to collaborate with peers within Google Apps is preparing students for the experiences they will encounter in college and the work place. Additionally, it is not difficult to export the information created in Google Apps and share it to a personal Google Account, especially with shared folders. I have shared my Google Apps folder with my personal Google account without problems numerous times, so this maybe a skill our students need to acquire. Google Apps not only allows students to collaborate with peers, but also to take the collaboration outside of the Apps domain by publishing docs as websites or sharing a Google Site with the rest of the world. My students currently share their writing portfolio with me and their parents which has been an incredible experience to get parents involved in the writing process. I cannot think of another system that will connect me with my students on so many levels and also allow my students to connect with the world. @Ben Wilkoff – That’s good to know about Sites, we must have something set wrong in our domain because I haven’t been able to do it. But I still have concerns about that. You said to share with a public google account as an owner and have the owner with the public account create a copy in the public arena. So, if I’m understanding that correctly, the site in the domain will still disappear with the account, which means that students would have to do this every time they create the site, when they create the site, and point people to the public site if they want it to outlive their time in our schools. That’s insane. Yes, I’m looking at this from a high school perspective (actually mentioned that in a draft of the post, but then took it out for some reason I can’t remember now). For me, I think we should be working to change the law so that under 13 can have these accounts instead of compromising what we want (need) to do with students. Why can’t you carry all that you have done from one job to the next? Maybe you couldn’t have before, but why can’t we now? Isn’t that part of what digital buys us – this portability, this opportunity to archive and build upon what we’ve done before? @Janis Yokely – I completely understand the idea that this helps smooth the way for reluctant teachers (and students, and parents). I’m just hesitant to settle for a solution that I think still has major problems. I think we can do better. @Randy Doughman – I don’t know enough about Microsoft Live to respond, but it seems like whatever problems the public Google Apps have (in terms of legal stuff) Microsoft Live would have as well. @Henry Thiele – Do you have links to the information you post for students? I think that would be really helpful for me (and perhaps others) to see. As far as the comfort level, see my comment to Janis above – I agree and understand, but it still doesn’t feel right. Your point about the consistency and verifiability of email is a good one and one I hadn’t considered. I still have concerns about privacy issues, and what we are teaching our students when we sometimes cross a line (even when well intentioned). I want high school students to have private communication, and that is primarily their email (phone calls and face to face as well). So they of course then create their personal email accounts that we can’t get to, and their district-sanctioned email for schoolwork, and I worry that just reinforces the idea that school and the rest of their lives are separate. I don’t want them to be separate. @Colette Cassinelli – I agree that the Contacts part would be nice, but my district is not planning on populating the Contacts. Which means a public Google account, which populates your Contacts as you make contact with folks, will be functionally indistinct from the Google Apps for Edu account. From a high school teacher’s perspective, I guess I just don’t see the difficulty in gathering contact information from my students each year/semester. We even have the ability to collect that through our existing Student Information System, but nobody seems to want to do that. Everyone’s organizational schema is different so I realize that may work for you, but for me the idea of having things in separate places doesn’t make sense. I can organize with folders and subfolders within Google Docs just fine, why would I want two accounts? @Tara – I sure hope you’re wrong about that (they’ll have to operate in a closed system). All the other benefits you describe come with a public Google Account, without all the drawbacks (why should I have to “export” my own documents just to access them in the way I want to?). I happen to agree with you. I want our students to be able to point to their best academic and intellectual work after they leave ou school if they so desire. You raise some excellent questions. I would always prefer my students to have their own Google/insert-site-here identity. 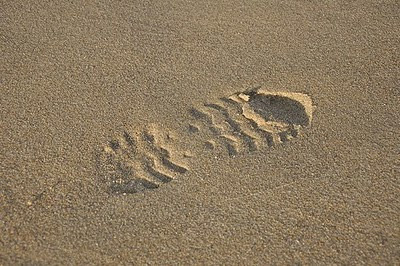 Not only is it a question of a digital footprint, it is also a question of ownership. The students own their work and should have full control over it. I had a talk with one of my district techs today and he talked about setting up blogging software on our server. I told him I would worry about losing what was created if it was on the school server and he told me he would probably "clean it out" every year or two. I told him that wouldn't work for me. The most recent primary, (elementary), school that I worked in has the policy of reformatting the server hard drive every couple of years. Before the techs do this they back up all of the student work on DVD but most teachers don't even bother to collect as the students have been allocated to different grades. Using Google apps, even given the deficiencies you note, is at least a step along the way to enabling some portability for these teachers. On a different tack reference to the Data Liberation Front came via a tweet the other day. This group may be a point of reference. I have to admit that this is the first argument against Google Apps I have seen from this direction. Usually, I hear concerns from those who think giving students Google Apps accounts is dangerous not from those who think it is too restricting. If creating their own contacts instead of using the incredibly easy process in Google Apps is not an impediment to sharing and working, then switching out of a Google App account at the end of their senior year is not too far a reach either. After implementing Google Apps with thousands of students, I have to agree with Henry. It was used by more staff and students in deeper ways then ever would have happened if they had to go make their own accounts. There is principle and practical. They don't have to be mutually exclusive. I'm not really understanding the logic of your argument as it relates to students who leave the organization. Isn't this the same fundamental problem with any organizational network collaboration/communication system, whether it be exchange, moodle, blackboard, firstclass, groupwise, etc? I would argue, actually, that the data out of google is significantly more portable and exportable than any of these systems (firstclass, for example, is HORRIBLY broken in terms of IMAP standards compliance). To answer the time question...it takes nearly zero time to get students up and running in an enterprise google apps network. The shared contacts make it all worthwhile...the shared contacts can be accessed throughout all core applications so that collaborative work spaces may be easily shared amongst various different team members. I would submit that this is much more time efficient than telling students to go setup their own gmail accounts and then attempt to share files, sites, calendars, engage in chats, exchange emails with faculty, staff members, peers, etc. Entire grade levels, courses, etc, can very, very easily share files, sites, etc through the use of the shared network contacts. We use Google apps enterprise (with all components turned on with liberal limitations) and our middle school and high school students really, really like it. @Karl I don't think that making a copy of the Sites that you want to keep at the time of your graduation (or within a year before your account sunsets) is "insane." It makes sense to me most because, for the most part, keeping something forever is just as insane. The content is what is important to me, not the links. I think you are absolutely right about wanting Google to change their TOS. I do not see it happening, though. How should we go about pushing for that? As for mistakes, I want kids to make them in the open, but how can we possibly "force" students to do the same. Let's let kids publish to the world and also keep revisions sacred. Let's have students reflect on what is worth a wider conversation and what should stay within the classroom. To me, that sounds like Google Apps and not Open Google. I'm not saying, let's not share anything with the world or make any mistakes out in the open. I'm saying, let's have one more layer that allows for sharing but not broadcasting. Let's let kids share with the domain, with the school, with the classroom. Let's make that easier and not harder. And literally, the reason why you can't carry everything from one job to the next is that there are laws against using trade secrets. There are severe issues about what you can actually "take" with you. I'm not saying that they should always happen, but I believe that you should be able to take the "lessons you learn" but not necessarily all of the creations that you have archived. @Carolyn Foote and @Wm Chamberlain – Aww, you guys ruined it by at least semi-agreeing with me. And keep in mind it’s not just switching out at end of senior year, we have students leave (and return) every single day. Is your staff helping them negotiate this? I agree that sometimes practical is the best decision. I just don’t think it is this time when practical and principle are so achingly close together if only we would choose to seize it. @Matt Montagne – I think it is the same fundamental issue with any closed (or proprietary) organizational system. My question is, why do we need to have a closed or proprietary organizational system? Shirky has certainly given us a lot to think about in terms of the value that organizations provide – or don’t provide – in our current age. I’m certainly not arguing for First Class (shudder), I’m arguing for a better system (and that open Google is better than closed Google Apps). I think my tech folks would disagree with “zero time” to get folks up and running. They’ve already spent a considerable amount of time trying to figure this out, and are worried about how they are going to handle the on-going maintenance of it. And, as I indicated above, we won’t have shared contacts, so we won’t get that benefit. And, again, I’m not arguing against using Google Apps, I’m arguing against some of what I still see as fundamental problems with Google Apps for Education. We can do better. We should demand better (from ourselves). @Ben Wilkoff – Okay, so the content is what is important to you, not the links. Not the links? Not the conversation? Not the rich discussion and learning by and with others that we hope results from this? So it’s all about you? :-) Are you prepared to make that decision for every one of your students? For everyone that interacts with what your students create? For me? No thanks. I can’t blame the TOS on Google, it’s the way the law is written. I was just assuming that both Google and the U.S. Government would simply change because of my blog post. Unrealistic? I don’t want to “force” students to do anything, I want them to have the option to control their own stuff. Having an open Google Account doesn’t force them to do anything any more than a Google Apps for Education account does. On a document by document, site by site, group by group, email by email, plug in your favorite google tool by favorite google tool basis, students can decide what to share, what to publish, who to publish to. But under Google Apps for Education, they have to port it elsewhere if they want it to survive after they leave us. It is making it harder. We basically tell them, “We control your work. Too bad, so sad.” Not good enough. I’m not talking about trade secrets, I’m talking about the learning. I’m not willing to sacrifice what our students do now because possibly in the future they’ll be in a situation where they can’t take it with them. To quote Chris Lehmann, what if school wasn’t preparation for real life, it was real life? This is real life for our students. Right here, right now. Prove to me that being in a closed, hamstrung, Google Apps for Education setting right now is going to actually better prepare them to better succeed in some unknown future job endeavor. I’m not buying it. Better prepare them, no. Worse prepare them, I'm not sure. You guys are keeping me up. I think we don't give up. I think we just decide we're going to make school and real life mesh. We can now... that's the whole "new" of web access - yes? So why not? Why would we not? Well - one reason - we keep listening to the defense more than the possibility... in college, or in the workplace... this is how it will be. Well..maybe.. but only if we give up. It's crazy that we get the exponential power of networking... but can't seem to apply it to making change in ed. It's crazy that we want authentic learning for our students and ourselves...yet we keep trying to define it.. put it in a box. Once we do that...once we've planned it out.. is it still authentic? I do get Bud's point. Putting something like google apps in place gives all students at least some access, some entry point if they're offered no other. To me - that's the best rationale for using it. I would just hope it's not a - bulk mail - one size fits all - proposition for kids. I love the premise of the digital project (via the MacArthur foundation) that we listen to kids and find out their natural instinct to interact/communicate with this new digital media. And then we encourage that... we nudge them for more and better and richer of that. And we realize it won't be the same for every kid. And that individualization will be messy - but that's what makes it real life. and ..if changing how we do this 7-hour-a-day thing we call school grates us enough that we can't sleep till we ship... shouldn't we quit inserting "at least" into our rationales? I think another perceived problem with teaching students to manage their digital footprint responsibly, is most teachers don't know how to do this themselves (and often - ironically, being promoters of learning - don't seem willing to learn how). A third reason I think there's so much resistance is teachers want to be in control. They're used to a school culture that mistrusts students, that believes students would never do something productive unless forced to. Control gives teachers more ammo for coercion. (What I think most teachers don't realize is, it's this culture of mistrust and coercion that makes students hate learning in the first place). Thanks for providing your critical eye, even when most others don't agree with you! students that make sense long term. If I could, I'd build spaces that kids could use permanently. But I can't yet. I can do this today. Our district has turned lots on. It's a big step forward. I'm not running a 40 yard dash, so this isn't the finish. we are making some serious progress here. And we aren't done. Just moving forward. @Karl - your IT team might want to reconsider how the network is configured so that the "administration" is distributed out to the users. Once accounts are created via LDAP integration, Moodle integration, or whatever, very little regular "maintenance" takes place. Contrary to what IT might say, Google Apps networks take very little time in terms of administration and maintenance. If there is one word that comes to mind when I think of our network in comparison to what we used previously (Firstclass), it is "empowerment." All of our users can create as many docs, sites, groups, calendars, etc as they'd like. They also have full control over how all of these tools are permissioned. We have people not only collaborating with others inside of our apps network, but outside as well (parents, Stanford students/faculty, etc). School organizations certainly don't need to provide academic learning platforms; they can just as easily say go out there and get your own yahoo, gmail, wikispaces, skype, whatever. I just think its going to be nasty messy for basic collaboration-Facebook users are accustomed to having their contacts auto-managed for them and accessible across the various facets and elements of facebook-this is actually quite similar to what the shared contacts feature does in Google Apps-nobody likes to have to manually manage and update disparate contact lists. Might I ask why you wouldn't use the shared contacts? This is what makes it all worthwhile-being able to leverage these contacts within and across the core apps is HUGE. We use a pretty nice naming convention which makes it easy to search for users. All of our student user names are as follows: last two digits of grad year + first initial + last name. So Sarah Smith from the class of 2016 would be 16ssmith. From both the network administrator perspective and the end user perspective, this convention makes it really easy to search users. While I have a sweet google neon lamp at my desk and an Android robot toy as well, I'm certainly not a Google evangelist. Before we made the decision last year to transition we said that we very well might only stick with the system for a few years (I doubt that will happen, though-we've appreciated the regular feature updates and are looking forward to Buzz in the near future). If we do switch, we are quite comfortable that we'll be able to effectively transition data as the network is built on open, modern standards. @Bud Hunt - Yeah, I know. This post is all your fault, you know. That "worth keeping" podcast - and follow-up is what's driving my thinking-out-loud here. @Matt Montagne - Yes, I've pushed for them to look at AD/Google Apps/Moodle Integration, and they are, but at the moment it doesn't look likely (budget and staffing cuts probably wont' allow us to bring Moodle in house, and some security concerns there somewhere I think). As far as the Contacts, that's a district decision and I can't fully remember the reason. To the best of my recollection it had to do with concerns about providing every student's email address to every other student, but I could be remembering that incorrectly. Thanks for all the info, and I certainly intend to make this work as best I can. I just think there's a better way, and I'm still hung up on the student's work (in it's current form, with it's current URL and associated links/conversations/markup) not surviving their tenure in our districts. For anyone following this conversation, there are a few additional comments in Buzz that aren't necessarily replicated here. @Bud Hunt - Wouldn't it also be possible though, to just have students set up their own, independent Google accounts? Doesn't that take care of Karl's concerns? Teachers could still easily keep track of usernames for coordination in class. The only problem I can see is that they wouldn't have as much storage space - though I have a regular account that I use to manage every part of my life - and I've never had problems with space. Feel free to jump in if there's something I'm not thinking of here - it's very possible! @Karl I know. I take the blame but think that there's something consisted in a mediated Google Apps approach. So long as we have a hand in the data, and act as good stewards, there is good to be done here. @Chris - I work with many schools and thousands of students. Standardization of account info, consistency of services, and taking the setup out of the classroom are all reasons why "let the kids create their own accounts" is a bad idea. @Bud - One more thought. I agree that it isn't a sprint, but I still feel some urgency. I'm not comfortable telling the students I have at AHS right now that it's a marathon and we'll figure it out eventually. They only get one shot at high school, they don't get a "do over." If Ani was about to start high school instead of Kindergarten, would you be so sanguine about this? @Bud - OK, sorry, one more thought. Isn't "taking the setup out of the classroom" also taking some of the "learning" out of the classroom? Take off your district hat for a minute and view it from the student's perspective. Is "consistency of service" a lens that an individual would view this through? 1. We ARE acting fast. Every secondary student will jaw access to these tools and opportunities. By the Fall of next year. With community buy in. 2. Is teaching every student every year to create the series of nonconnected accounts that each individual teacher wants to use, without thought to what kids learned before and will learn after really the lesson that we want to teach? I'd say no. I want to get the easy bits out of the way so that folks can get to work. "I'll probably need to write something longer now" - perfect. I would still argue that they have hamstrung access, and that's not good. Getting quick access to a fundamentally flawed plan isn't a good thing. I don't think we do ask them to create an account every year (in terms of Google stuff). I think we ask them to create one Google account (public), with our help, and stick with it, including beyond K-12. I understand ease of entry and ease of use are major reasons why the Google Apps are useful, but is easy better? There is some educational value in having students create and maintain their own emails, documents, etc on line. They will be responsible for doing so as an adult as well. Again I want to also point out that students should own their content. Does their content become property of the school like teachers' lesson plans are? Finally, is it in the best interest of our students to create transitory spaces where they have no ability to administrate their own content? Yes, I am aware that their work can be exported, but how many teachers will be willing to take the time necessary to explain that to their students? Will the content of the students that are less internet savvy be lost? Is their content less valuable? This conversation has given me much more to think about. I agree with Bud's thought that we are in the early stages of a marathon. Google Apps for Education may be the best temporary space for students. Truth is I need to better understand the technical side of things to make a judgment. What I think is important for institutions to do now is make clear their intentions. What are we working toward. Too many institutions - health care systems, insurance companies, school districts - operate as if they own their customers/clients information. An action that a school board can take is to declare our community's aspirational goal. As a community, we want students to own and control their digital footprints. School districts may have to play a stewardship role at different times but the intention is for students to be the owners and managers of their own content. Would making this type of intention clear be useful? Would it inform decisions being made within districts differently? Is there a better way to articulate this type of intention? @johncr8on - Yes, making the intention clear would be very helpful, along with some clearly posted directions as to how students (and staff) can make that happen. Said this in Buzz, too, John, but yes. That would be helpful. A few sentences in an AUP should do the trick. Or perhaps in policy on student stuff/records/data. Maybe both. I've thrown my hat in the Google Apps camp. Arizona's Department of Ed. gives every public teacher and Apps account, and I've got a lot of mileage out of mine. I think Apps is a worthwhile solution for students because it provides one feature that districts covet: control. Or at the very least, the perception of control. Perhaps one day we'll realize the dream of teaching students to use full-fledged, independent cloud accounts, but until then, the Google Sandbox seems to be the best available option. I haven't seen anything that balances solid features with useful admin control. Good to follow the discussion. A slightly different direction is that digital footprints are way more that just content, clicks and data. Increasingly it is attention, reputation, intent, location and other sensor input as well. Very thoughtful post (but I'd expect nothing less from you). @Doug – Thanks, I agree for the most part and have used similar arguments myself (don’t let great get in the way of good). In fact, I sent your previous post about Google Apps in your district to my tech folks as support for what they’re trying to do. But I still think we can do better, and we can do better now. As I said in one of the comments to Henry above, I’m also not sure I completely agree with this idea of separate work and personal presences (read that comment for more). More in a separate comment below addressed to everyone. @everyone – So as I’ve been thinking about this over the last few days I’ve been leaning toward a hybrid model as the best way to address all the excellent points folks have brought up in the comments, as well as my concerns that I still feel are worthwhile. Then, as luck would have it, I moderated a PLP Elluminate with Kern Kelley about Digital Storytelling and afterward he pointed me to this post about what his district is doing. Go read the post as I think it’s worth your time, but this is where I’m leaning right now. - Go with Google Apps for Education beginning at whatever grade level makes sense for your school/district (4th or 5th grade for most folks it looks like, but certainly could be earlier if you wish) and up through about 8th grade (wherever the break is for your high school if you have an elementary/middle/high model). This takes care of the under 13 legalities and provides all the advantages mentioned in the comments above. - Then, like Kern’s district, transition the students to open Google Accounts in about 9th grade (whatever makes sense for your configuration). This makes them thoughtfully go through what they have created so far and figure out what they want to port over (what’s “worth keeping”) and provides an excellent opportunity to discuss issues of digital footprint, safety, ethics and responsibility at an age when they can better understand it and when they have some experience under their belts. It would then also address most of my concerns while preserving many of the advantages mentioned in the comments above. I still need to do some more thinking about this but wanted to get this comment out there for others to ponder as well. Thanks to everyone for helping me think this through. I’m still not completely happy with my choices, but I will of course do the best I can to help our students with what they have. (Which, in my district, is going to be Google Apps for Education for everyone and then probably a separate open Google Account to do other things for many of my students at AHS). I will certainly suggest to my district that we at least consider a hybrid model in the future and see what happens. When I looked at Google Apps I had many of the same questions. q. How do students carry on work? a. Students can choose to download their best work, forward email... just like any other program anywhere else. Learning to manage the tools and their work is a key. q. Is it secure enough? a. It's more secure than any server we'll build in k-12 Ed. Google has a better shot at figuring out access problems. a. It's free. Saves us an amazing amount of dough and support time. a. the resources Google has online is better than any prof dev we'll do in house. a. More than any system we could replicate. Document sharing, chat, browser compatibility, additions, collaboration. Couldn't replicate that potential on a conventional system. Features allow creativity... and that's a good thing. After pondering it over for about an hour it was clear. It's better than anything we had or could afford. It opened up new doors. It's easy to shoot holes in things for what it can't do. Google Apps revolutionized sharing information at our school. Shared calendars, doc sharing (peer to peer or group and easy publishing as docs on the web). Chat (text and video). I've encouraged quite a few schools to go forward with it. All the reports have been stellar. It's a way to get things moving... not just for the sake of it, which has merit, but to use modern tools in creative ways. @AP - yeah, to be clear, I like Google Apps. All of them. That's why I'm advocating for use of the open platform. I have not personally used Google Apps for Education, but in my EDM310 class use gmail and google documents. I find it to be very useful. Dr. Strange can share things with us all the time, and the students can also share things easily . I enjoy using my blog spot, and I am thinking of starting my own personal blog, and not just the one I use for my class. As far as your comment about K-12 work for the most part not being worth keeping, I disagree. Mary Shelly wrote Frankenstien when she was 19. Imagine what she was doing before then. @Haley Green - I wasn't suggesting there wasn't stuff worth keeping, I just know others argue that there isn't. While I agree with them that perhaps not everything is worth keeping, I think if we were doing things better more would be worth keeping. And, again, I'm not arguing against using Google Apps, I just have concerns with a Google Apps for Education implementation. Thanks for this post, Karl. I think it has brought up a lot of good points and questions to think about as far as Google Apps versus just the Google account. The feedback on all of the contributors was very insightful. It looks like you may have raised more questions than answers. I hope Google developers get a chance to see this post. It would definitely help with newer versions of Apps for Education to see the comments made here. I am a avid reader of the Fischbowl and agree 100% with a majority of your posts. As I read through this post I began to wonder what actually happens with student work now with networked servers? After working at several districts I cannot remember any of them offering any kind of method for seniors to bundle and take home everything on their shared drive. Does this not fall under the responsibility of the student? I definitely agree with being able to improve a student's digital footprint but is that legal? Is there not some type of law that prevents us from identifying them on the internet? I like GApps because of the savings. I refer to Doug Johnson's Blog post on the savings which GApps provides. He estimates roughly saving $200,000 per year - where can that be put to use? We have GApps at our district, however it is grossly underutilized, and I see more and more people "discovering" it every day. It is amazing when they actually realize the potential the applications can provide and the time it can save is just mind blowing. I have found that the domain login and pswd allows users to log-in to the "vanilla" side of Google apps and only regulates the options which the domain has control. I am not sure if this is a glitch or what but when logging in from www.google.com the regulated apps do now work correctly. All in all I like GApps and would promote it to anyone and any school. I believe it has a great deal of productivity opportunities in education and many times it just needs to be unleashed. Here's a good site that addresses the legal aspects of COPPA, CIPA, etc. I see where you are coming from but I really don't agree with your points and think you missed others. You go on about the time and effort to move to Google Apps for EDU. Fair enough but how about the ongoing costs to maintain, support and run your current schools email? You want the effort to go towards improving students experience but the effort to migrate is a short term resource where the effort to run your current infrastructure is ongoing. Put THOSE resources towards your students not the limited one time transition effort. I won't even mention that the savings can be put towards improving student's experience. Do you have any students in your family? Do you think they want to have a single point of contact for their so called "Digital Footprint"? This made me laugh! The current generation is constantly multitasking and their "Digital Footprint" spans many many services. To think that they are going to be troubled by having another service dedicated to their educational experience is laughable (you even mention having two gmail accounts as a problem? You age yourself). You also hint that your efforts will be important to them, I challenge you to find any student that will use any system that they encounter while at school as their primary means to build their "Digital Footprint". Besides that how does your current system help them do that currently? This is a discussion amongst educators that don't have a clue as to what their students online use is and how they would use ANY system you propose. Get a grip here you are just trying to enhance their experience while they are enrolled, period. 1. Students losing their stuff because it gets deleted after they leave us. 2. That if they produce stuff that they are proud of, that should be part of their digital footprint, that it also gets lost when they graduate - and even while it lives it doesn't get linked to their real name, which at best muddies their digital footprint. There was nothing in there about a "single point of contact" for their digital footprint, the concern was about their work not existing after they leave us. And the part about the emails was the difficulty in using Google Apps in two environments (within the domain and the full google apps), as students in this situation will have to switch back and forth, which is cumbersome at best. I was suggesting that having a full-fledged google account would solve all of these issues. So, at first glance, it appears as though you kinda sorta missed the point of the post. Finally, I worry about your digital footprint, as your comment here is now part of it. It's perfectly fine to disagree, but your insulting and dismissive tone reflects poorly on you. With all of the value that a free Google Apps for Education account affords -- productivity and collaboration -- could a student account not continue to be enabled for kids after they graduate? This alleviates the ePortfolio in perpetuity dilemma. Chris - I don't think that will happen for three reasons. One, schools district will not want to be responsible for any misuse by students after they graduate. Two, the more users you have the more management headaches you have. Three, depending on the district, there are costs associated with the number of users, for things like email filtering or additional marketplace apps that are purchased. Plus I think it's important for kids to go through the transition process from a domain account to their own personal one. For two reasons, so they have the skillset to do it if they ever want to bail later and if it becomes the basis of their online identity, it's truly theirs. Another reason we give them domain names, that's their professional online presence, without us after graduation.